I recently met a kindred spirit, on the other coast, who had been stewing over a type of problem similar to that which had launched my own multi-year investigation into the strange social dynamics of traffic: Merging. Her merging problem is a distinct problem from the “early” and “late” merge I describe in my book, which in the specific case I was discussing only relates to construction work zone merges in which two lanes are dropping to one, and signage warns something like “merge right, one mile.” Caldecott, as far as I can surmise, as I haven’t experienced it myself, is a strange situation; one, because unlike a temporary construction zone situation, the same thing repeats itself every day at Caldecott — the dilemma is built into the very landscape — and much of the traffic on it is presumably daily commuters (and indeed, an “evolutionary stable strategy” appears to have taken hold by which, according to Gorney’s reckoning, two-thirds of people line up and one-third side zoom). Two, the lane that the side-zoomers are using isn’t technically, as in my situation, a lane that was going to become inactive (and thus the people using it as a sort of merging reservoir weren’t holding up traffic going elsewhere). It is spare capacity to the extent the frontage road is not used very often, but then one wonders if it should just be turned into a de facto merging bay, and marked accordingly. Rather than stigmatizing “cheaters” and upsetting the prevailing order, this would institutionalize the practice, thus, presumably, easing the social tensions. But the fact that the geometries and psychologies of Gorney’s own merge problem could yield a long article, full of interesting traffic tidbits and theories, speaks to the complexities of traffic. Merging prescriptions, it seems to me, are like medicine: Use only where directed (and watch out for side effects). The people in New York who use an active lane to drive to the front of the queue on the FDR to jump onto the onramp for the Brooklyn Bridge (dangerously stopping for a moment in the middle of that active lane, forcing everyone in their lane to then merge left, at relatively high speeds) should receive a good old-fashioned Singaporean caning, IMHO. And of course it’s really just more than merging at stake here. These sorts of tensions strike right to the heart of American culture. Gorney found herself musing at the merge point, “this is the problem with modern American capitalism, really, this anti-aristocratic all-men-are-created-equal narrative we pretend to cherish while simultaneously celebrating the individual’s right to do whatever advances his own interests without technically breaking the law.” I think something similar may underlie the left-lane-is-for-faster-traffic dynamic on U.S. roads: It’s a good idea in practice, but someone’s always going to want to go faster, and that person’s rights are going to mash up against the guy who’s already going pretty damn fast, is exiting on the left soon anyway, and thinks he also has a right to be in the lane he’s in. In any case, I recommend the article highly, and not just because it contains the words “Vanderbilt’s book is terrific…” Follow the link or check out the text after the jump, and Happy merging! 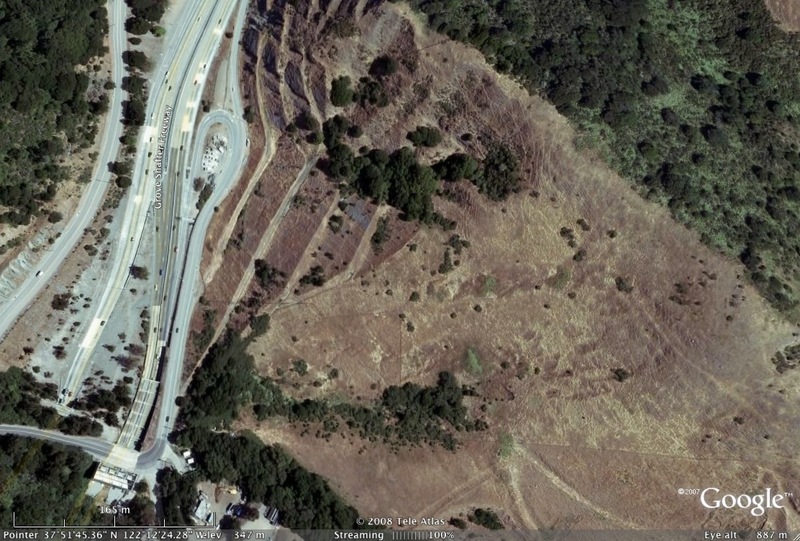 Comments Off on The Caldecott Tunnel Problem. Click here to leave a comment.